"The Mickey Mouse Club" (1993) The Canadian youngster's career began with a recurring role on Disney's 1993 revival of "The Mickey Mouse Club." It was here that Gosling became close friends with fellow castmember Justin Timberlake. "Goosebumps" (1996) Kids' horror was another highlight of Gosling's childhood. He appeared on episodes of "Goosebumps" and "Are You Afraid of the Dark?" that involved a radio station broadcasting from the afterlife and a camera that brought misfortune on those who had their picture taken with it. 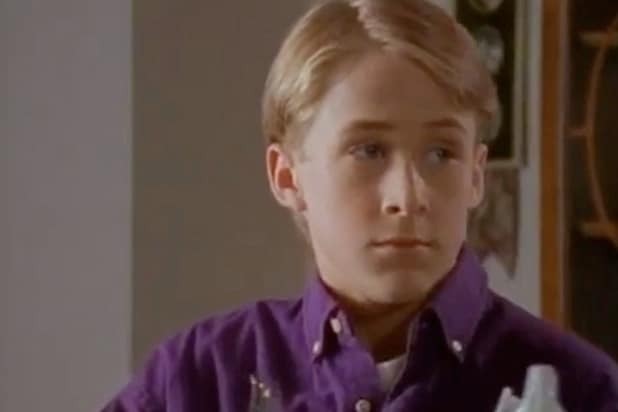 "Young Hercules" (1998-1999) Gosling traveled to New Zealand in 1998 to film the kids series "Young Hercules," in which he played the titular son of Zeus during his warrior training. Shortly afterward, he decided to move from TV to film and take on more adult roles. "Remember the Titans" (2000) Child actors sometimes have a hard time transitioning to a successful adult career, but Gosling made the jump with ease thanks to his performance in "Remember The Titans." His previous TV work helped him pick up the role in Disney's family movie, while the film's message on race proved that he could handle more thematically heavy work. "The Believer" (2001) In 2001, Gosling burst onto the independent film scene with "The Believer," in which he played a Jewish neo-Nazi who struggles with self-hatred over his heritage. Critics praised Gosling for his thought-provoking portrayal of the film's almost paradoxical main character. "Murder by Numbers" (2002) A year later in 2002, Gosling got a chance to perform alongside a top star for the first time when he starred in "Murder By Numbers" alongside Sandra Bullock. Gosling played a privileged, sociopathic high school student who tries to commit the perfect murder, while Bullock played the detective assigned to track him down. "The Notebook" (2004) Gosling then found massive mainstream success in the 2004 romance "The Notebook" alongside Rachel McAdams. The two won an MTV Movie Award for their kiss in the film, which has earned praise for becoming one of the most famous smooching scenes in movie history. "Half Nelson" (2006) Gosling received his first Oscar nomination for his performance in "Half Nelson" in 2006. He played Dan Dunne, a history teacher who forms a unique relationship with one of his students when Dan is caught snorting cocaine. "The Lovely Bones" (2009) Gosling was supposed to appear in Peter Jackson's "The Lovely Bones," but was replaced by Mark Wahlberg. Gosling revealed later that he had been removed for gaining too much weight to prepare for the role after it was initially ruled that he was too young for the part. "Blue Valentine" (2010) After leaving "The Lovely Bones," Gosling took a three-year hiatus from acting before returning in 2010 with "Blue Valentine." While "The Notebook" was a sweet romance, "Blue Valentine" showed Gosling playing a man in the midst of a chaotic divorce. "Crazy, Stupid, Love." 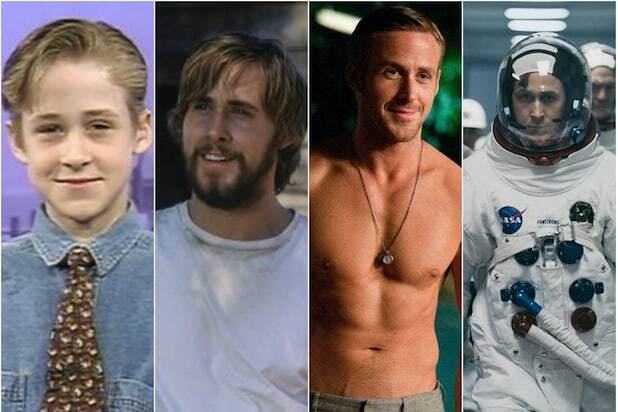 (2011) In 2011, Gosling put his acting range on display in three very different roles. First, he played the womanizing Jacob Palmer in the dark romcom "Crazy, Stupid, Love" alongside Steve Carell. "Drive" (2011) Then Gosling put his minimalist skills on display as an unnamed getaway car driver in the noir crime film "Drive." "The Ides of March" (2011) Finally, he starred alongside George Clooney as a presidential campaign manager who leaves a dark trail of corruption in "The Ides of March." "Only God Forgives" (2013) After 2011, however, Gosling fell into a slump with the critics, receiving middling to poor reviews for several years. His most polarizing project was "Only God Forgives," which reportedly received loud jeers when it was screened at Cannes. "The Big Short" (2015) Gosling made a big comeback, however, with the Best Picture-nominated film "The Big Short" in 2015. He plays Jared Vennett, a slick bond salesman who decides to profit off the speculative housing market bubble at the cost of the bank he works for. "The Nice Guys" (2016) Gosling went back to comedy in May 2016 with "The Nice Guys," where he stars alongside Russell Crowe as a jumpy private eye who uncovers a conspiracy alongside his bitter rival. "La La Land" (2016) In December 2016, Gosling generated major awards attention as a jazz pianist who woos an aspiring actress in Damien Chazelle's modern musical "La La Land." Once again, he displayed remarkable chemistry with his "Crazy, Stupid, Love" co-star Emma Stone. "Blade Runner 2049" (2017) Gosling has often been criticized for being a stoic, reserved actor, but it made him perfect for the part of a replicant in Denis Villeneuve's sequel to the cult classic "Blade Runner." Gosling starred opposite Harrison Ford in the film. "First Man" (2018) Damien Chazelle looked to Gosling again for his followup film "First Man," about the life of Neil Armstrong and his journey to walk on the moon. Gosling's combination of reserved calm and movie star good looks made him a natural choice to play the American hero. Not-so-fun fact: Gosling may have sustained a "mild" concussion while filming.